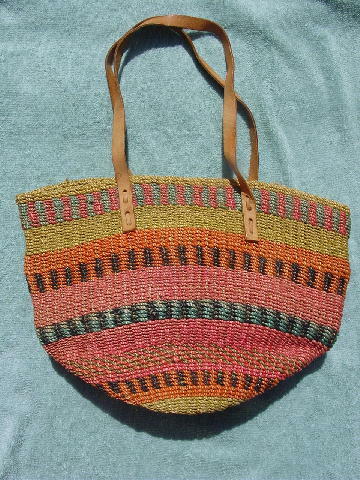 This woven/twine purse has a horizontal line pattern in orange, yellow, pink, light and dark blue, and sand. There are two leather straps 21" long (above the top of the purse). It's nice and roomy and looks great with your casual outfits. It's from a stylist's inventory, and was used in a swimsuit photo shoot.